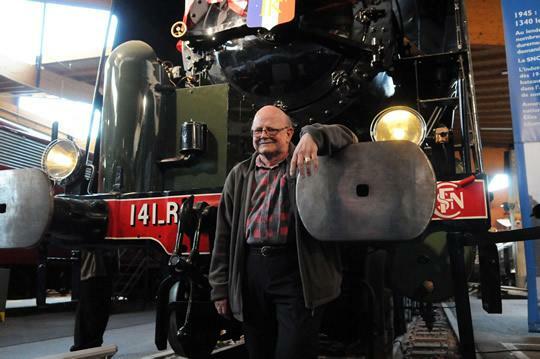 A Mulhouse native, Rene Alfred is passionate about trains and the historic railways. He has all the answers regarding the wonderful shelters in the heart of la Cite du Train, as well as how the new Tram-Train works! My name is Rene Alfred, born in Mulhouse, 65 years old, son of a railway man, and thus a rail-man’s son. Since my childhood, I have frequented the musical conservatory and the railway. Mulhouse is a “train city,” with railways in existence since 1837. I can show you everything that circulates on these rails, including our tramway and the new Tram-Train -- the first in France! I have already chosen potential itineraries for tourists young and old. Don’t forget your cameras, there are spots to see so picturesque you’ll take photos like those seen in professional reviews! My specialty is railway and transportation; but I also love the region, the gastronomy, and the traditional village festivals from here to there. Discover Mulhouse, a city of art, history, buildings old and new, and concerts put on by our local philharmonic orchestra. It is with the wheels of Mulhouse that we move forward, the same wheels that lead Mulhouse to its destiny!